Professor at the Liu Institute and the Institute for Resources, Environment and Sustainability (IRES), and Tier One Canada Research Chair in Applied Mathematics and Global Change. His current projects are looking at energy poverty and greening the energy infrastructure. We have labile objectives, incomplete knowledge and make decisions less rationally than we would like to believe. Dowlatabadi is Canada Research Chair & Prof in Applied Mathematics and Global Change, University of British Columbia. He is a University Fellow at Resources for the Future the, a Washington DC think tank. He is also Adjunct Professor at Carnegie Mellon University’s Department of Engineering & Public Policy. He received his BSc from Edinburgh University (1980) and his PhD in physics University of Cambridge (1984). His research has focused on the interface of humans and the environment. Hadi has focused on challenges at the interface of technology, energy, environment, health and public policy. 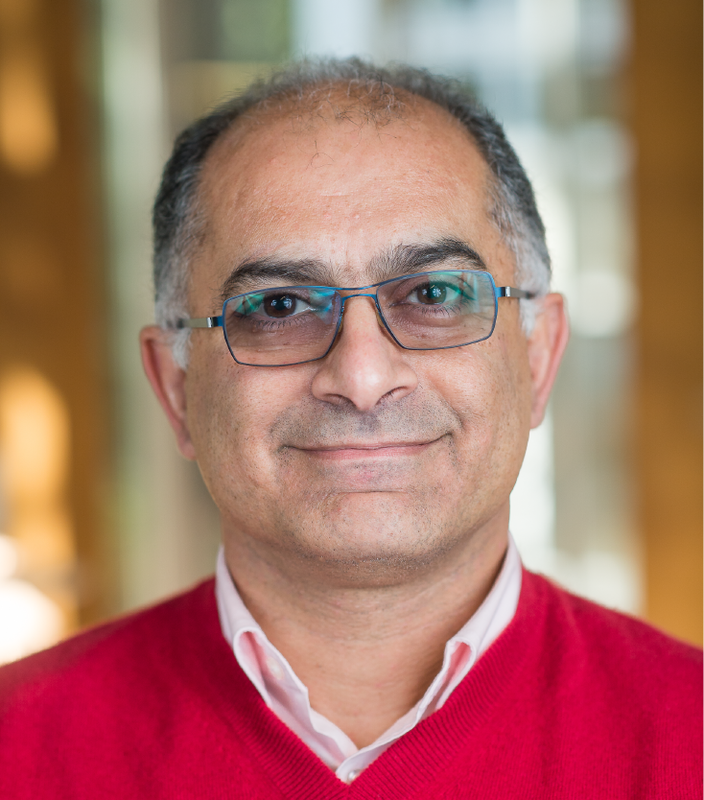 His perspective can be summarized as: Hadi has a wide range of publications from books on how to choose electricity generation technologies to different determinants of malaria in the world. He has been a lead author on the Intergovernmental Panel on Climate Change and also on the Millennium Ecosystem Assessment. He has over 150 peer-reviewed papers and helped 35 PhDs complete their research. In 1989 he was awarded a Warren Weaver Fellowship by the Rockefeller Foundation where he co-designed the program for global environmental leadership (www.lead.org). He serves on the editorial boards of four periodicals. He is co-founder (2004) of the non-profit Offsetters Climate Neutral Society (www.offsetters.org), CTO (2007) of Green-Erg Technologies Ltd (www.green-erg.com) a founding Director (2005) of Canadian Bioenergy Corporation (www.canadianbioenergy.com) and senior advisor to an leading Canadian electric vehicle company (www.rapidelectricvehicles.com ). This is a topic demanding our attention as more and more jurisdictions choose to use market based mechanisms as a means of addressing their energy and climate policy objectives. Market based systems are based on the assumption that consumers will modify their behaviour in response to price signals. Municipal governments enjoy an enviable advantage as an energy utility. They have access to land and enjoy endless waste streams all of which can be used for low GHG energy systems via heat pumps and production of energy from waste. BC is the leading jurisdiction in GHG mitigation policies with broad-based carbon taxes and mandated climate neutrality of government departments. Taxes and their impacts have been widely studied. Unfunded mandates on the public sector however are relatively understudied. Cumulative Effects Assessment, or CEA, is the assessment of the environmental changes resulting from the interactions of multiple human activities. The concept of CEA acknowledges that while a single activity or development may not be the sole cause of a serious environmental impact, its effects may combine with those of other developments to produce a significant collective impact. Evolution of the economy towards dematerialization and decarbonization has, for some time, been regarded as a measure of progress towards greater sustainability. There are a number of challenges in knowing if we have characterized and measured dematerialization correctly. This is a project to better understand what we have been measuring and whether it can be used as a reliable indicator towards a more sustainable economy. Electric mobility has been the darling of the sustainability community for the past decade. However, much like the challenges revealed by a full life-cycle analysis of biofuels, electric power mobility has significant externalities which need to be considered before it is broadly adopted. The research under this theme identifies and addresses key questions in this area. Public health organizations depend on research organizations for innovations in health interventions. These fall into two main categories: a) on-going research to improve understanding of how best to improve quality and longevity of life; and, b) short-term research to find appropriate responses to an emerging disease. The networks of knowledge creation and flow within and between organizations are key to more effective research. This project, co-supervised with Prof Babak Pourbohloul is focused on developing methods to map and understand how these networks operate. Not everyone chooses to be a vegetarian. What options to we have to reduce the ecological impacts of beef production? This project, co-supervised with Prof Kai Chan is focused on developing methods to characterize the different impacts from beef productions and options and costs for their amelioration.